Shopping for a new Toyota Corolla? 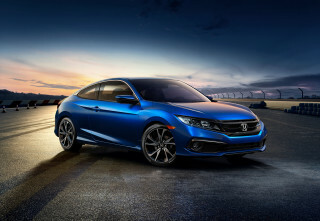 The Honda Civic spans a broad range of powertrains and body configurations, and most rank highly among their respective competitors thanks to their powertrains and space. The new Civic is more spacious than the Corolla and likely more efficient with fuel, although it may cost more. 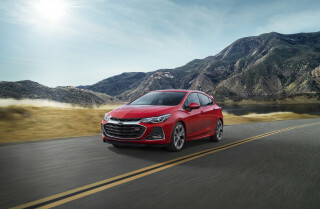 The Chevy Cruze is available in a hatchback and with a diesel engine, but its price far exceeds the Corolla. The Focus is old and on its way out the door with a crossover replacement due next year, but it’s often discounted and is fun to drive. The Elantra and Mazda3 are both entertaining to drive, although the Mazda has a better interior and the Elantra has a better turbo powertrain than the Corolla. 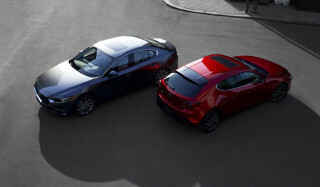 A new Mazda3 arrives late in the model year. The 2019 Toyota Corolla bears one of the longest-running small-car nameplates in the world because of its dependable name and no-nonsense approach to commuting. No matter what body the Corolla has, it scores well for standard safety features, decent fuel economy, and interior space. The hatchback pulls ahead for its surprising driving verve—something we haven’t said about a Corolla in years. Additionally, the hatchback comes with Apple CarPlay compatibility and Amazon Alexa integration, features the sedan lacks. The sedan comes in L, LE, SE, XLE, and XSE trims, while the sportier hatchback is only available in SE and XSE grades. The Corolla Hatchback was previously known as the Scion iA and the Toyota Corolla iA. Most Corolla sedans use a 132-horsepower 1.8-liter inline-4 engine paired to either a 6-speed manual or a continuously variable automatic transmission (CVT). The Corolla LE Eco package swaps in a different version of the 1.8-liter inline-4 rated at 140 hp with a special valvetrain system tuned for fuel economy. Most Corolla sedans net between 31 and 32 mpg combined, which is below many rivals but still pretty thrifty against most new cars. Hatchbacks use instead a new 2.0-liter inline-4 rated at 168 hp paired to the same 6-speed manual and CVT choices. Fuel economy for the hatchbacks is more impressive at 36 mpg combined with the SE trim’s CVT. All Corollas are front-wheel drive. Sedans muster reasonable, but not thrilling acceleration. Hatchbacks are noticeably zippier and pair better to the available CVT thanks to a dedicated first gear for quicker takeoffs. Sedans, even those with SE and XSE badges, don’t steer with enthusiasm, but they are competent around town. Hatchbacks have more steering heft and a firmer, but far from punishing suspension. Inside, the sedan’s upright dash has a busy, confused look, but rear-seat space is good. The hatchback has a more expressive, refined design with better technology. Sedans hold 13 cubic feet in their trunks, while hatchbacks can swallow 18 cubes. For the 2019 Corolla, Toyota makes lots of safety equipment standard, including adaptive cruise control and automatic emergency braking. Myriad trim levels for the sedan mean that there’s a Corolla four-door for nearly every budget, but all are priced above most competitors. At around $21,300, a Corolla LE sedan with a few options is a good basic motoring choice that will hold its value and comes with two years of free maintenance. 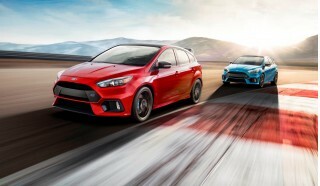 In our eyes, the hatchback is the better choice for around $20,000 to start, however. Rivals such as the Honda Accord and Mazda 3 are more fun and more refined, though, so shop around first. The 2019 Toyota Corolla isn’t much of a looker in sedan form, but the hatchback is stylish enough. The 2019 Toyota Corolla doesn’t wear its sedan duds especially well, but the hatchback rights most of those wrongs. The four-door 2019 Corolla seems to ride high on its tires, with a large gap between the wheels and the body. Maybe that’s a ploy to lure some crossover SUV shoppers—but probably not. Its front end is gaping, with edgy lines surrounding a wide black swath under its grille. From the side and rear, the Corolla sedan isn’t as bold, but that’s probably a good thing. Inside, the sedan’s upright dashboard isn’t as off-putting, but it makes for an unusual driving position. A standard 6.1-inch touchscreen for infotainment can be upgraded to a 7.0-inch unit on higher trims, while automatic climate controls on most sit below. Toyota uses many surface materials and finishes, which give the Corolla four-door a busy look. The hatchback takes a different path. Its front grille isn’t overworked, and the rear and body sides don’t look lifted from anime. The Corolla hatch is more popular in Europe, where it’s called the Toyota Auris. Its continental styling skips some of Toyota’s busier designs that they’ve unleashed on consumers stateside, including the recent Camry and Mirai. The front grille skips the milksop look of the last generation and adds more mesh and more narrowLED headlights for a sharper look. The dropped nose is gone this year, replaced with a more menacing lower fascia. The body sides get subtle creases for more interest, and the outgoing iM’s rearmost window is gone this year, which makes the Corolla hatch look shorter than its predecessor. In back, we see Mazda influences in the rear hatch—especially the hatch door itself—and its taillights are sharp without being overwrought. Its most expressive element may be available colors, especially a new sky blue that’s hardly subtle. Inside, the Toyota Corolla hatch is minimalist and simple, especially in standard cloth. Sportier XSE trims have color-contrasting schemes to brighten the interior and make it feel bigger than it is, although we’re not sure how it’d hold up with everyday tasks. The 2019 Toyota Corolla has a sportier side, but it requires a manual transmission to bring it to life. 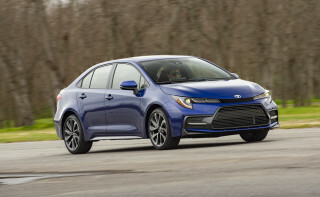 The 2019 Toyota Corolla sedan can be fun in the right configuration, but most versions are sluggish and have a ride quality that trails more refined rivals. Most Corolla four-doors use a 1.8-liter inline-4 rated at 132 hp and 128 pound-feet of torque. The Corolla Eco swaps in a different version of the inline-4 with slightly more power and slightly less torque that uses a unique valvetrain system to maximize fuel economy. The vast majority of Corollas use a CVT, although a 6-speed manual is standard on the SE trim. The CVT is smooth enough from a start, but the engine’s limited power exacerbates the droning sensation that gives this style transmission a bad name. The Corolla sedan has the kind of powertrain that’ll make you want to turn up the radio. Light steering helps the Corolla feel nimble around town. The sedan’s ride is soft, but bigger bumpers enter the cabin with a thunk and more head-jostling than in better buttoned-down rivals. On the highway, the Corolla four-door displays good tracking and stability in windy situations. Its suspension is simple, with MacPherson struts up front and a basic torsion-beam setup at the rear. Even in SE and XSE trims, the Corolla is geared more toward a comfortable than zippy handling. Under the hood of the Corolla Hatchback sits a new 2.0-liter inline-4 that makes 168 hp. It’s a global powertrain that we hope to see in the Corolla sedan someday. The engine is paired to a slick 6-speed manual as standard, or a CVT as an option. Both transmissions have unique features that skew toward sporty driving. The manual features an intelligent mode that matches revs on downshifts and can smooth out upshifts with small throttle adjustments for a better ride during aggressive drives. The features are noticeable and effective, and dramatically improve the transmission’s behavior, although they need to be engaged with a small button near the center console. It’s good enough that we just wish it were on all the time. Similarly, the CVT features a fixed first gear for better takeoffs that helps alleviate one of our gripes with CVTs—they’re lazier than Sunday afternoons, sometimes. The CVT is better for it, but it’s still not our pick for better behavior. Paddle shifters are standard, although there’s only a narrow window for control: the transmission will automatically upshift in higher rev ranges and the Corolla is programmed to click out of manual control after just a few seconds. Regardless of transmission, the 2.0-liter inline-4 shows promise. Its power delivery may be hamstrung somewhat in the CVT version, so the manual version may be the best barometer of the engine’s future. The inline-4 makes most of its power high in the rev range (around 6,500 rpm) and it builds revs in a predictable way. It’s not turbocharged like others in its class, but it’s no less fun than similarly powered units. The small Toyota engine feels willing—albeit somewhat hamstrung in CVT configurations—and its sounds are mildly entertaining. The bad news? It needs to be wrung out for the most fun, and that requires the manual transmission and an acceptance that the Corolla hatch may not be as frugal with fuel as others in its class over the life of the car. From a standstill, the Corolla launches confidently and spins up to 60 mph informally in around 7.5 seconds. Passing requires kicking down two gears to get the engine on boil—there’s more power higher in the rev range—from the slow highway simmer that efficiency prefers. The Corolla hatch features with four-wheel independent suspension all the way around, unlike the sedan, with a competent ride geared toward comfort. The SE features 16-inch wheels with more sidewall give than the pricer 18-inchers on XSE versions, but neither feels flinty or unnecessarily harsh on the road. The small hatch steers easily—the wheel is nearly too light—but lacks road feel, which is common among the class. The 2019 Toyota Corolla is spacious inside regardless of body style. The 2019 Toyota Corolla isn’t finished with luxurious materials inside, but it generally makes good use of what space is available. Sedan versions of the Corolla are popular with ride-share services such as Lyft on account of their spacious rear seats. If only the front seats were as comfortable for drivers. We’ve found the Corolla’s front seats to be thin and lacking in a wide range of adjustability. Most trims have seats draped in grippy cloth, but XLE and XSE trims use synthetic leather that feels durable and is matched with power adjustability for the driver. The Corolla sedan’s trunk is on the small side for a compact sedan at 13 cubic feet. Toyota uses a wide range of materials and textures inside the Corolla and most bits and pieces look better than they feel. Rear-seat riders are treated to especially thin, hard plastic trim throughout that doesn’t impress at prices that easily crest $20,000. From nose to toes, the Corolla Hatch is 172 inches long, which is shorter than rivals such as the Honda Civic and Mazda 3. Up front, driver and passenger ride in relative comfort with base cloth seats that feel durable in SE trim levels. Upgrade to XSE and those cloth seats are replaced with power-adjustable, heated seats that look good, but feel a little thin. The good news is that the stitching and gather of the material in both trim levels looks solid and up to typical Toyota standards. The seats slide fore and aft far enough to give tall legs plenty of room up front, but they cut deeply into rear-seat room. The 8.0-inch center touchscreen dominates attention in the front dash, while the rest of the materials seem convincingly mid-grade—despite the car’s relatively low cost. In back, the door cutouts are smaller than we’d like and rear seat leg room is wholly dependent on how generous front passengers feel. Our 6-foot-3 editor had difficulty sitting behind himself without sacrificing comfort up front, or in back. The shorter length also cuts into rear cargo room this year, which is down to 18 cubic feet behind the second-row seats, from 20 cubes in last year’s Corolla iM. The difference isn’t readily noticeable, and the rear seats tumble forward for more interior space. The cargo cut out is wide and low, which makes loading the Corolla simpler compared to small crossovers. This year, Toyota molded the rear hatch out of a resin composite material that makes the rear door lighter and easier to lift open—especially with arms full of groceries or gear. The 2019 Toyota Corolla has performed well in crash tests. Full crash test scores aren’t in yet for the 2019 Corolla Hatchback, but it’s shaping up to be just as safe as the four-door. The Corolla Hatchback rides atop a new frame that’s shared with the Prius and other Toyotas, while the sedan’s bones date back a few years. Both 2019 Corollas are equipped with a bevy of standard active safety features including forward-collision warnings with automatic emergency braking and pedestrian detection, active lane control, adaptive cruise control (automatic-equipped Corollas include stop-and-go cruise control), road sign detection, and automatic high beams. Blind-spot monitors are optional on automatic-equipped SE versions and standard on XSE trims. The IIHS rated both versions Top Safety Picks. That award applies to all sedans but only hatchbacks with the optional curve-adaptive headlights that bend light output with the steering wheel. 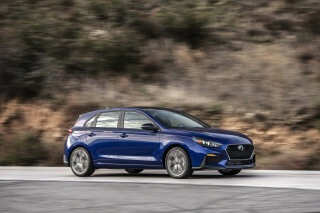 The NHTSA rated the 2019 Corolla sedan at five stars overall, but it has not yet tested the 2019 Corolla Hatchback. The 2019 Toyota Corolla Hatchback gets with the times, but the sedan lacks a few features. Rated on its own, the Corolla Hatchback would earn 6 out of 10 because it features a larger infotainment screen and Apple CarPlay compatibility. The Corolla sedan comes in L, LE, SE, XLE, and XSE trims. Those with an S have a firmer suspension and unique styling, while those with an X swap cloth upholstery for synthetic leather and a power driver’s seat. The base Corolla L provides simple motoring with few thrills—its air conditioning, power features, and a 6.1-inch touchscreen for infotainment with Bluetooth and a USB port are typical standard fare for modern compact cars. 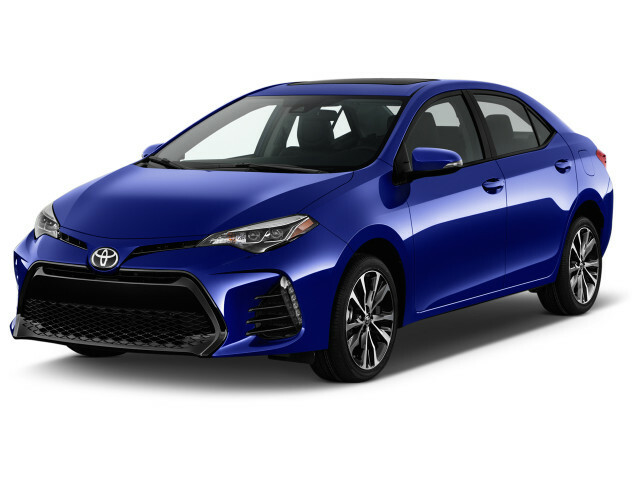 The Corolla LE costs about $450 more and brings worthwhile features such as larger wheels for better handling, automatic climate control, and nicer interior trim to the party. The LE Eco has a thriftier engine that nets about 2 mpg higher than other sedans. It costs $400 more but could pay out for commuters with a long trek between home and work or school. The only Corolla sedan with a manual transmission is the SE, which also includes a power moonroof. At around $22,700 other compact sedans offer a more engaging driving experience. Topping the lineup, the Corolla XSE and XLE are equipped about the same with heated front seats, a power driver’s seat, synthetic leather upholstery, and keyless ignition. Our advice: stick with a Corolla LE or LE Eco for the best balance between value and features. The hatch is available starting at the SE trim level, which offers 16-inch wheels, cloth seats, a 4.2-inch driver information display, an 8.0-inch touchscreen, a six-speaker audio system, a 60/40-split folding rear seat, and a 3-year/36,000-mile comprehensive warranty. The Corolla hatch XSE trim level adds fog lights, 18-inch wheels, a 7.0-inch driver information display, leather-trimmed seats, power adjustable heated front seats, dual-zone climate control, blind-spot monitors, and satellite radio. Navigation, wireless cellphone charging, an eight-speaker audio system are optional extras. Most hatchback shoppers would be best suited at the SE trim level for about $22,000, which includes many of the same safety features and infotainment features that pricier versions will get, including Apple CarPlay (sorry Android owners). The 2019 Toyota Corolla Hatchback is a fuel-sipper, but the sedan is just average. On its own, the Corolla Hatchback would score 7 points on our scale, while sedans with the standard manual transmission would score just 5 points. Picking the thriftiest Corolla requires narrowing down your choice to just one model: the SE Hatchback with the CVT, which is rated at 32 mpg city, 42 highway, 36 combined. That compares favorably to the 28/37/31-mpg rating for the SE with the manual transmission. The XSE's larger wheels and slight curb weight dent its fuel economy figures to the tune of 30/38/33 mpg with the CVT. The thriftiest four-door Corolla is the LE Eco, which is rated at 30/40/34 mpg. Automatic transmission Corolla sedans slip to 28/32/36 mpg with 15- and 16-inch wheels, while the 17-inch wheels on higher-trim versions earn just 28/31/35 mpg. The least miserly Corolla is the SE with the 6-speed manual at 27/35/30 mpg. All Corollas run on regular unleaded gasoline.